A new art installation is coming to London that plans to highlight the impact of climate change. 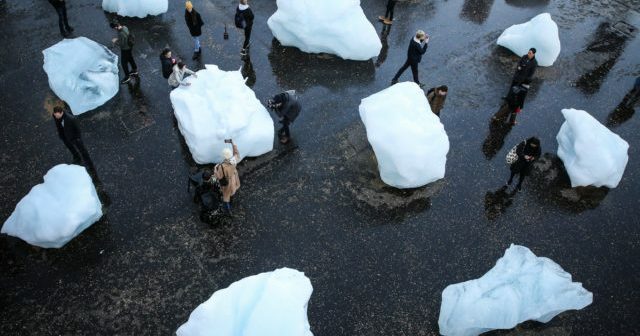 Ice Watch by artist Olafur Ellasson comprises giant blocks of melting ice and launches the same day as world leaders meet in Poland for the COP24 climate change conference. The ice has been taken out of a Greenland fjord where it’s separated from the ice sheet. A total of 24 blocks will be arranged outside Tate Modern on Bankside with a further six in the City outside Bloomberg’s European HQ. Each block weighs between 1.5 and five tonnes and visitors will be able to both see the sculpture – and feel the ice melt away.